Malaysians are starting to pay more attention to rum, the spirit most commonly associated with warm tropical weather and pirates. As we become more sophisticated drinkers, so too does our thirst for new and exciting spirits. Speaking to Sai Charan, Venezuelan rum maker Diplomático's Asia Pacific ambassador, he lets us in on why rum is gaining popularity in Malaysia and around the world. Rum, the dark caramel coloured spirit made from sugarcane by-products, has been gaining traction in the Malaysian drinking scene for the past few years, thanks to its versatility and use in notable cocktails like the piña colada or the dacquiri. Like whisky, not all rums are created equal, with many but not all rums being aged. Because of this, aged rum can yield complex flavours that can rival good Scotch single malt whisky, a drink commonplace in local bars. We recently met with Sai Charan, Venezuelan rum maker Diplomático's Asia Pacific brand ambassador, to ask him why Malaysian drinkers should start paying more attention to rum, in a time when our cocktail scene is booming. Why Should Drinkers Pay More Attention To Rum? "Rum is fun, you have to look at it from a different perspective rather than just through the lens of a serious drinker. The good thing about Diplomático is that it's a serious rum, but it's still fun," says Charan. "As you know, rum is associated with the tropics. When it comes to KL, that's where it's getting at with great bars like JungleBird and The Rum Bar. Whisky is for connoisseurs, rum is for enthusiasts," he adds. How Would You Best Introduce Rum To Newcomers? 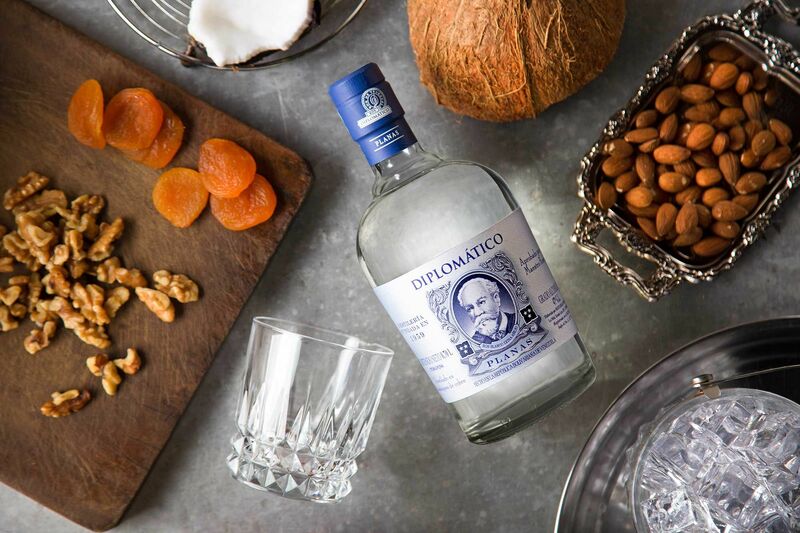 "Diplomático is a rum for whisky drinkers and a gateway rum for non-rum drinkers. Most newcomers like to drink rum mixed, either in a cocktail or with a mixer. But, with Diplomático you can sip it neat and it's really rich, complex, smooth and easy to drink," says Charan. What Should People Know About Diplomático Rum? "Our flagship Reserva Exclusiva is one of most awarded rums in the world and suits a lot of peoples' tastes. You expect flavours of orange, cinnamon, raisons, nutmeg, coffee or even chocolate from rum and this has it all, with a little bit of sweetness and complexity to keep you engaged," says Charan. What’s So Special About Venezuelan Rum? "Venezuela has some of the best sugar cane available. Diplomático uses high grade molasses and the distillery is located in the Andes mountain, making for an ideal location to make quality rum. Fun fact: Venezuelan rum is one of the only two rums in the world that has a denomination of origin classification and to call itself Venezuelan rum, the spirit has to be at least two years old and producers cannot apply the solera process or refill those barrels for two years. To get your hands on Diplomático rum, visit Wholly Spirits' website, an independent distributor of fine premium spirits.